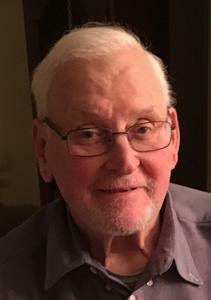 Edward Joseph Maciarz, age 75, passed away surrounded by family January 14, 2018. Beloved husband of 52 years to Jerrie. Loving father of Christe Lazanja (Fiancé Michael), Kim (Bryan) Tews and Sandy (Conrad) Schewe. Dearest grandfather of Zachary, Austin, Colin, Quinn, Tyler and Sydney. Cherished brother of John. Family will receive friends Thursday, 3-9 pm with Rosary at 7 pm, at the Neely-Turowski Funeral Home, 45100 Warren Road (between Sheldon and Canton Center Rds). Funeral Mass Friday, 11:00 am, at St. John Neumann Catholic Church in Canton. In state 10:30am. Family requests donations to be made to St. Jude's Children's Research Hospital via email https://www.stjude.org or by mail 262 Danny Thomas Place Memphis, TN 38105.